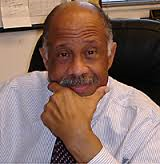 Dr. Manning has been an educator for more than 40 years. During that time he has been a college counselor, a college basketball coach, the coordinator and director of an Educational Opportunity Program, a Professor of Psychology and Sociology and for 13 years served as the Chief Academic Officer and Provost of the Eastern Campus of Suffolk County Community College. He served as a Professor Emeritus, Consultant and the COO of a Clean Tech Company. Dr. Manning served for five years as an Education Consultant to Symbol Technologies in their Wireless Division. He then served as the Associate Dean of Academic Affairs at the Grant Campus. He supervised the Division of Business and Technology where he spearheaded the development of new curricula in Technology including, Manufacturing Technology, new courses in Clean Technology/Energy and proposed Nanotechnology and Solar Technology curriculum offerings. During his tenure Dr. Manning authored the following curricula offerings: Interior Design AAS, Hotel Restaurant Management AAS, Science Laboratory Technology AAS, Dietetic Technology AAS, Travel and Tourism AAS, Horticulture AAS, Police Administration Certificate, and Heating, Ventilation, Air Conditioning and Refrigeration Certificate and AAS. Dr. Manning has an Associate’s Degree from Suffolk County Community College, a B.A., M.A. and Ph.D. from S.U.N.Y. at Stony Brook. Dr. Manning has received numerous proclamations from the Town, County, State of New York, House of Representatives and Congress of the United States. Most recently Dr. Manning was the recipient of “Those Who Stood the Test of Time” Award, Hauppauge Industrial Association, 2010,Proclamation for recognition of his accomplishments and making a difference in the Business Community, 2010, Leadership Award, National Leadership Academy 2010, Proclamation for his contribution to youth from Steve Levy 2011, Proclamation for Exceptional Leadership Steve Levy 2011, Long Island Heroes, Lifetime Achievement Award 2011, Global Technology Education Award, Long Island Black Educators 2011, and a Proclamation, Contribution to Education, Angie Carpenter, County Treasurer 2011. He serves on the New York State Board of Professional Medical Conduct, the Suffolk County African American Advisory Board, served on the United Ways Project BluePrint Steering Committee, the Harborfields Industry Advisory Board, the Hauppauge Industrial Associations Computer Sub Committee and Trade Show Committee and the NYS Advanced Energy Conference Sponsorship Committee. Dr. Manning also served as the 2nd Vice President of the Board of Literacy Suffolk, as a Board member of Tomorrow’s Hope Foundation and co-chair of the Technology Committee, and Board member, and Chair of the Restoration Committee at Villas at Doral in Miami Florida. He served on the Board of Villas at Doral as the Vice President, chair of the Technology Upgrade Project and the 2016 Restoration Committee. Most recently he served on the Finance Committee and the Building Enhancement Committee.